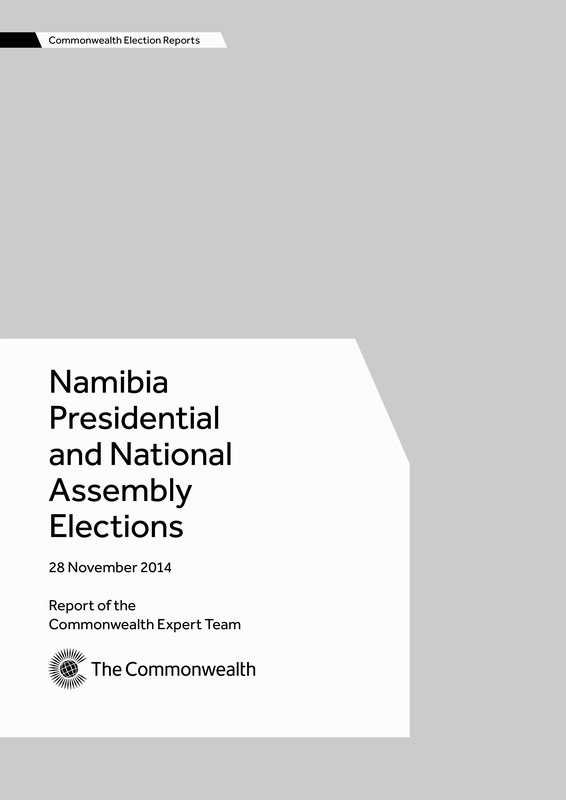 The report of the Commonwealth Expert Team for Namibia presidential and national assembly elections, held on 28 November 2014. The team was led by Artemisa Franco, former commissioner of the National Electoral Commission of Mozambique, and included Victor Shale, former Zimbabwe country director for the Electoral Institute for Sustainable Democracy in Africa. These elections were historic, not only for the country, but for the entire African continent, as they were the first elections to use entirely electronic voting. The team found that, despite a number of technical glitches, which caused significant delays in the overall voting process, the elections were competitive, met key democratic benchmarks and election day was generally well administered.